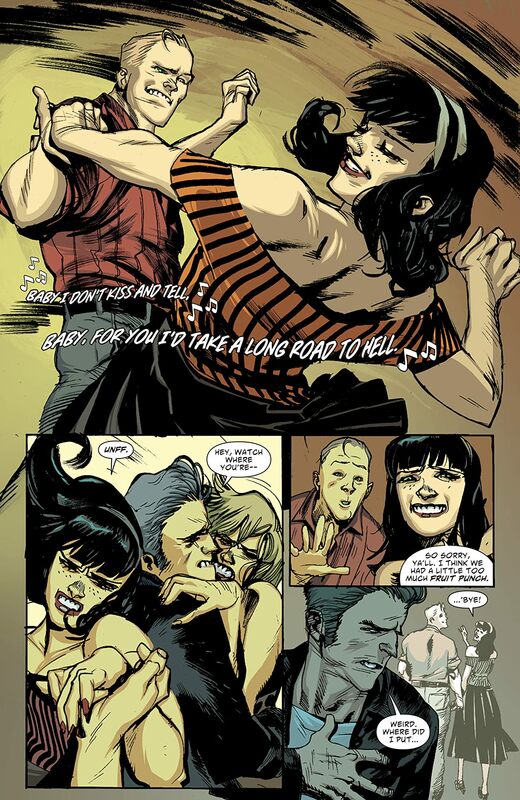 You are cordially invited to a party--to die for! 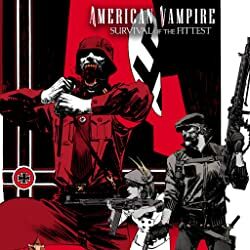 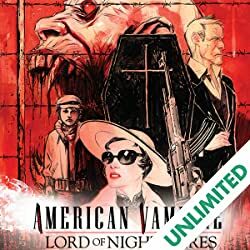 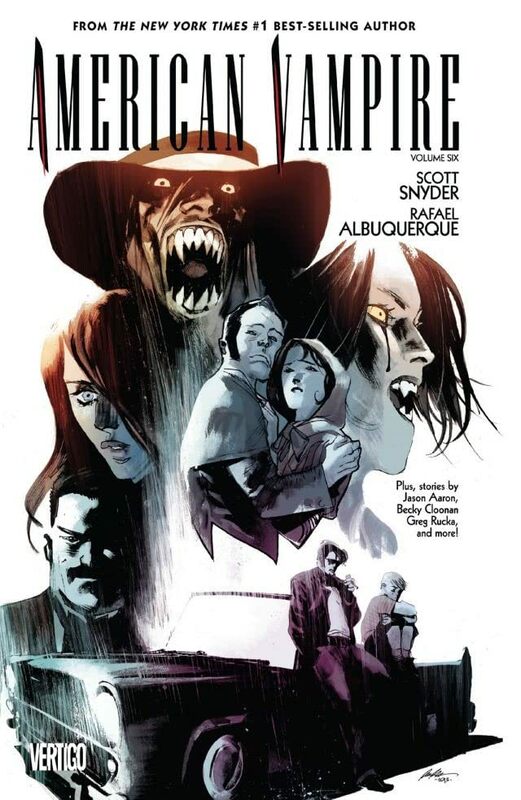 This volume of American Vampire collects eight amazing stories set in the world of American Vampire, with "lost tales," new characters and old favorites. 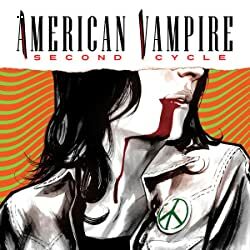 Don't miss these stories brought to you by series creators Scott Snyder and Rafael Albuquerque, as well as other awesome comics talent like Becky Cloonan (BATMAN), Gabriel Ba and Fabio Moon (DAYTRIPPER), Jeff Lemire (SWEET TOOTH), Greg Rucka (The Punisher, BATWOMAN), Gail Simone (BATGIRL) and many more! 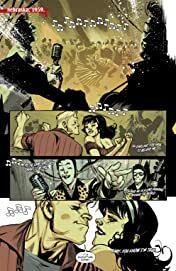 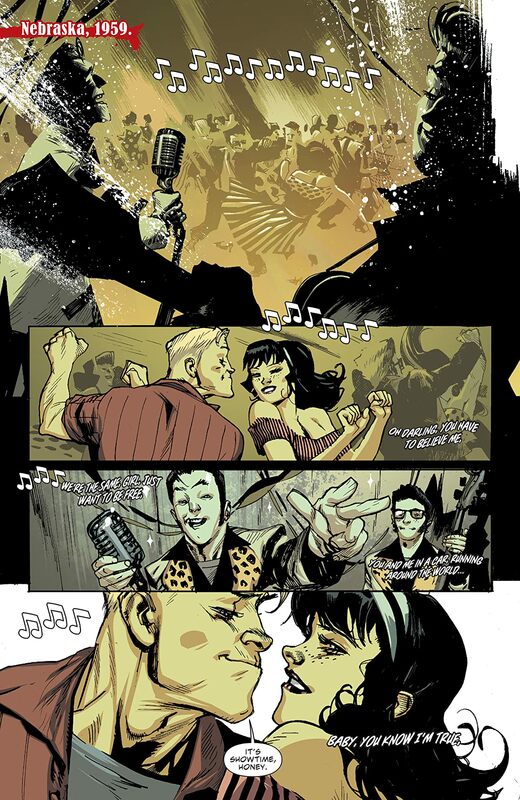 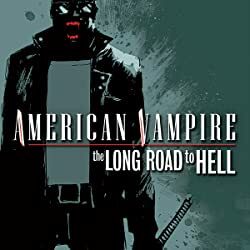 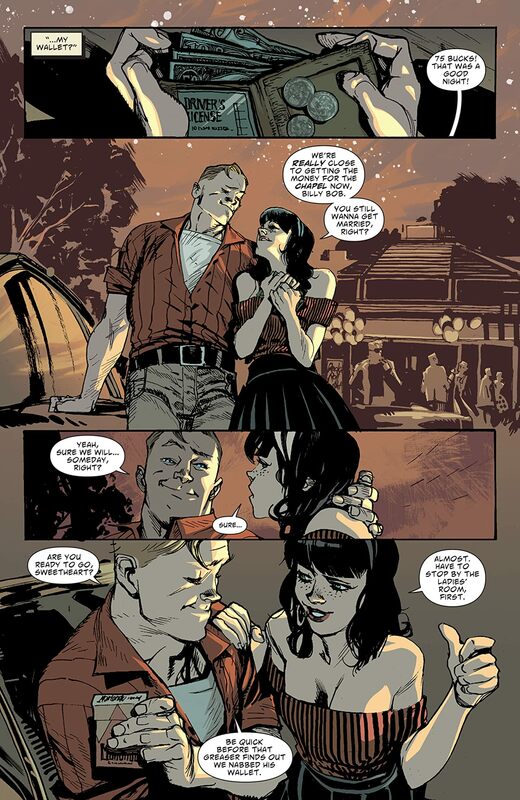 Also collected here is the stand alone tale of Fan-favorite character Travis Kidd--the vampire hunter who likes to "bite them back" in AMERICAN VAMPIRE: THE LONG ROAD TO HELL.